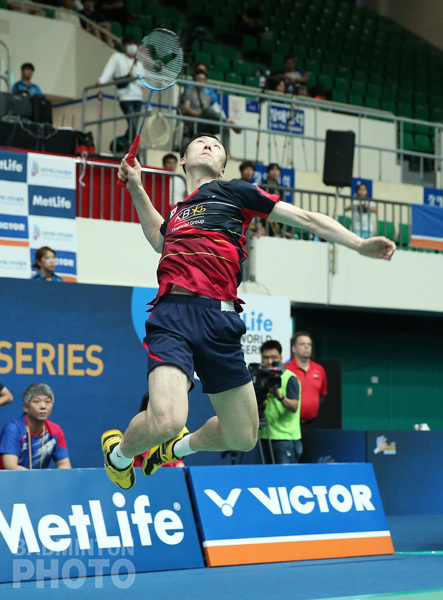 Yoo Yeon Seong is sticking with international badminton but his last campaign with departing Lee Yong Dae began with a win at the Korea Open on Thursday. 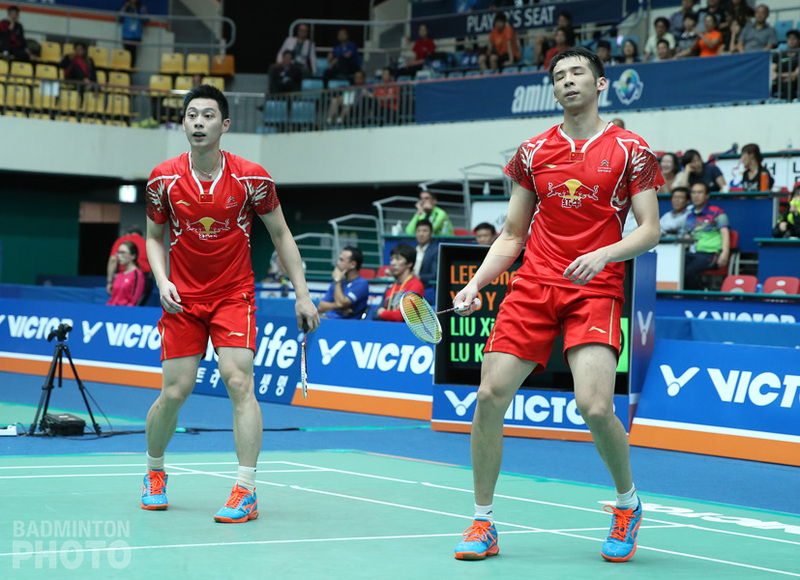 Shortly after the Rio Olympics, the news came out that four players had signalled their intention to leave international badminton but it has taken the last few weeks for the true story to be clear as two of those players – Lee Yong Dae and Yoo Yeon Seong – started their effort to win one last title together by beating China’s Liu Xiaolong / Lu Kai in two thrilling games on Thursday at the Korea Open. When the news came out in August, Lee, Yoo and Bae Yeon Ju all conceded that they would be waiting until after this week’s Korea Open to finally call an end to international competition. However, after weeks of stories where reporters repeatedly asked Lee Yong Dae if he might return for the Tokyo Olympics, two more twists arose as Bae Yeon Ju ended up withdrawing from the Korea Open and Yoo Yeon Seong appeared on the entry list of the French Open in October, playing mixed doubles with Chang Ye Na. “Ye Na and I are entered in the French Open,” said Yoo, after his first round win in Seongnam. “Actually, personally, I’d really like to take a break for a while but there is also the matter of penalties if I don’t play. 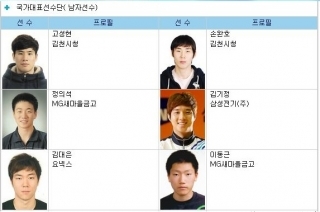 Although Lee, Yoo, Bae and Kim Sa Rang all saw their names removed from the national team list in the past few weeks, Yoo says he intends to stay on, while Lee Yong Dae clearly told the BWF that his retirement documentation was going in. As expected, most of the attention in the post-match interview was focussed on the departing Lee Yong Dae. The 28-year-old spoke a lot about feelings and the need to take a break and assess his options: “At the Asian Games, World Championships and most recently the Olympics, we aren’t happy with our results. Of course that is a disappointment but if you look at everything else, my partners and I have won a lot of Superseries titles. A lot of people don’t see it as the same thing and we certainly have some disappointment, too, but there is still a lot to be proud of. “I have been playing for Korea for the past 14 years so for now, I’m hanging up my national team uniform and I am going to take some time and think about what to do next, particularly after this tournament is over. In the future who knows? 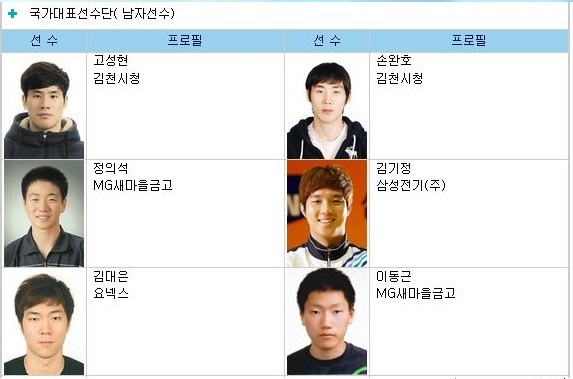 Once again, Lee was asked by the media whether there was any chance he might return for the next Olympics, in Tokyo. While few Korean players have made such comebacks, the current enduring career of men’s singles star Lee Hyun Il is a notable exception, as was the 1995 return of Park Joo Bong, at roughly the same age Lee will have attained in 2020. As for Yoo Yeon Seong (pictured below), he may assume a role like that of Ha Tae Kwon in 2004, who stayed with the national team after his partner and four other doubles team-mates called it quits. There might be a little more continuity now, after two more remaining veterans, Ko Sung Hyun and Kim Gi Jung, made the final in Japan last week. 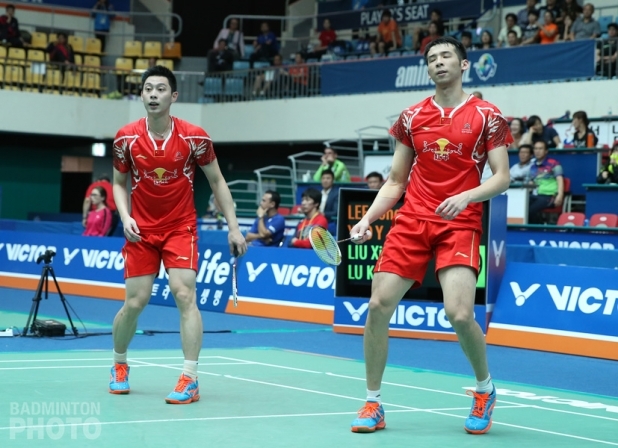 However, China looks very strong overall in men’s doubles, as it took the world #1 pair to deal a blow to their squad in Seongnam, where three pairs are in the quarter-finals, only one of which are over the age of 22, and this coming a week after Li/Liu won their first Superseries title. 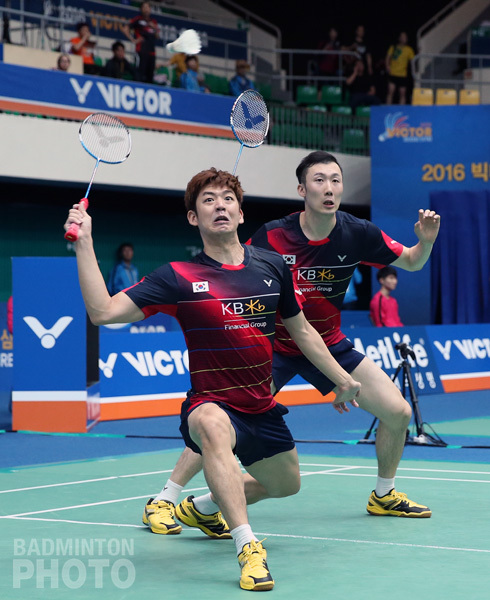 “We wanted to enjoy the match today and to perform well for our Korean fans and we certainly enjoyed winning this match and I hope the fans did too,” said Yoo Yeon Seong of the victory over Liu Xiaolong and Lu Kai (pictured bottom). Between taking care of a newborn and helping to mentor young badminton talent, Yoo will be busy in the coming months. Lee Yong Dae might be playing his international swan song ‘for now’, but even he will be back on court next weekend, representing Busan in men’s doubles with Kim Gi Jung at the National Sports Festival.